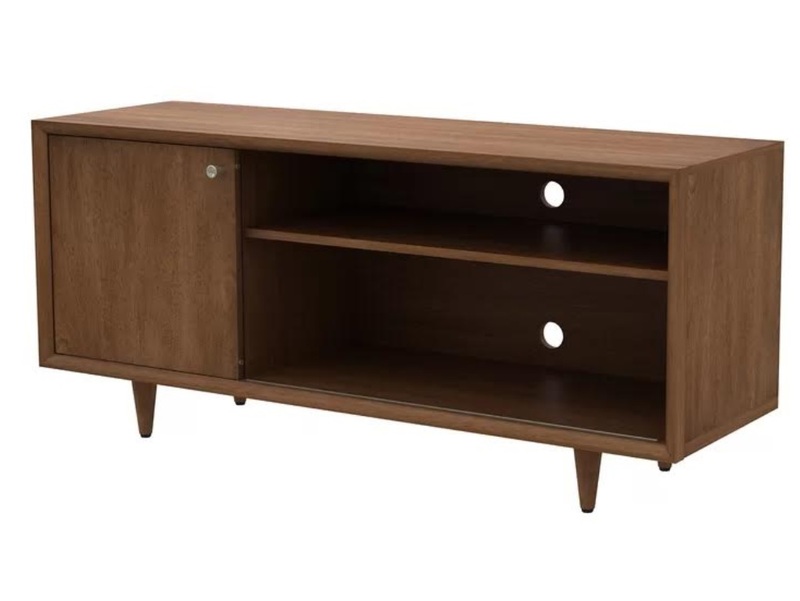 The Vedal TV Stand is a beautifully designed, solid manufactured, brown wood finish piece with one sliding shelf and an open shelf for storage. This TV stand adds class to any living room or bedroom and can be matched with our full line of living room furniture. The Vedal TV Stand is a great option for your furniture rental needs!